Success in offshore operations is all about good decision making - particularly around risk, asset integrity, maintaining production and procurement. The digital technology we have does not make decisions, it supports professional decision makers who work with the digital technology, particularly by helping them maintain situation awareness. In this conference, we explored how digital technology can support professionals to maintain situation awareness and make better decisions. A prerequisite for the successful implementation of digital work processes on an offshore industrial facility is a high quality description of the facility design and configuration, the “digital twin”. How can this be provided for legacy facilities that are 10 to 20 years old or even older? How can facility owners ensure that new facilities and extensions to legacy facilities are delivered with a high quality digital twin that meets their needs for digital operations? This presentation will look at state of the art processes to ensure capture of the digital twin and international standardization efforts to define requirements for handover. Once the digital twin is established how can this be leveraged across the operations enterprise IT landscape for use in ERP, reliability, ISSoW and other systems to improve operations safety, efficiency and predictability? This presentation will examine how interoperability between the digital twin and other operations systems can promote Operational Excellence, reduce errors and enable better and faster decision making by providing the correct information in context. Adrian has been with Hexagon PPM (previously Intergraph) for 10 years and serves as the Vice President for Information Management. He is responsible for global business development for information management solutions serving the process, power and marine industries. He has over 30 years’ experience working in the process industry and joined Intergraph from the Norwegian owner operator Statoil where he was engaged for 16 years including in various information management roles including Advisor in technical information management responsible for the implementation of applications for plant information management and project execution. He has also extensive experience in managing engineering data, information logistics in CAPEX projects and the handover of data and documentation from major CAPEX projects to operations. Adrian has also previously worked for EPC contractor Davy McKee based in the UK, ABB and Cap Gemini. 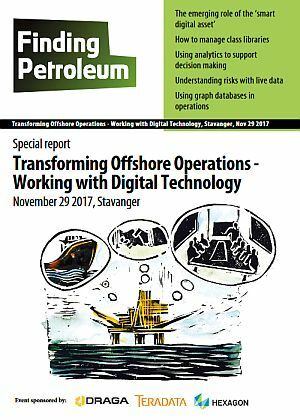 Analytics plays an ever-growing role in offshore operations. However, the quality of data used in these analytics is rarely considered in a formal, consistent and extensive manner. We show examples of how analytics techniques can be applied to data quality to drive more precise positioning in drilling operations, and better understanding of equipment behaviour in geophysical operations. We show an approach to data quality that enables a stronger risk and value assessment of offshore operations. Intelligent design tools solution architect, intelligent design tools administration, reference data and LCI validation on major capital projects. - Sound knowledge of effective and best practice solutions related to intelligent design tools. - Provide project data validation and ensuring the information is according to LCI and DFO requirements. - Providing functional expertise, guidance and presentation of intelligent engineering applications. - Long experience in developing engineering data management processes. - Sound knowledge of engineering practices and construction activities. Petter is Presight Solutions CEO and founding partner of company. He has over 25 years software solutions development experience from oil and gas industry. He is also Presight’s resident ‘Solution Architect’. He holds degrees in both Project Management and Computer Science. "Variety of presenters from industry, regulators, and finance."